What Was NHL Thinking in Hiring Chris Pronger? On Thursday, long-time NHL bad boy Chris Pronger was hired by the NHL to work for the Department of Player Safety. Yep, you read that right. It's official: Chris Pronger has been hired to work for @NHLPlayerSafety. I cannot even begin to comprehend the thought process behind this hire. Pronger is in an interesting situation because he is still being paid by the Philadelphia Flyers. He will not play another game, and he doesn’t technically work for them, but he and the Flyers have a mutually exclusive agreement that Pronger will not retire early and he will continue to collect $5.1 million over the next three years. Meanwhile, the Flyers don’t get his massive $4.9 million cap hit to count against their salary cap as long as he remains on long-term IR. It’s a win-win for both sides. 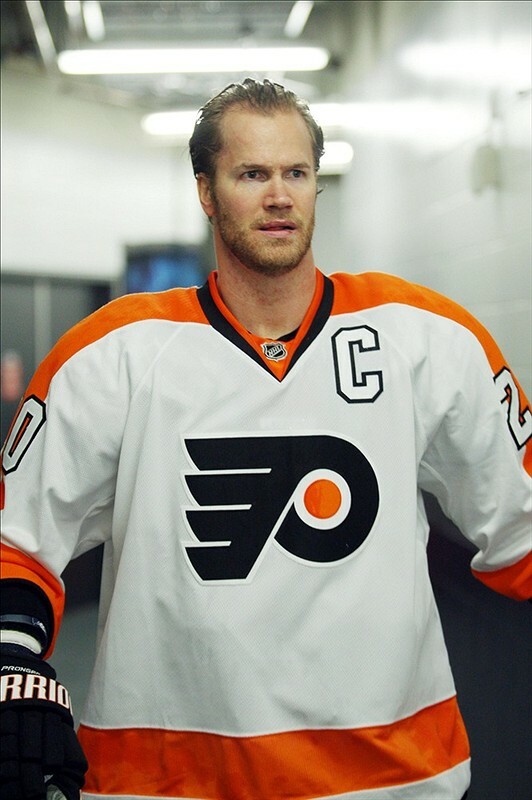 However, the problem arises when Pronger will continue to collect pay checks from the Flyers while making decisions that will affect the teams the Flyers play against. It has already been decided that Pronger would not make rulings involving the Flyers, as reported by Puck Daddy’s Nick Cotsonika. However, that only solves part of the problem. Let’s say it’s early April, and the Flyers are in a dogfight for one of the last wildcard spots in the Eastern Conference. They have two games against Pittsburgh, one against the New York Islanders, who they could be fighting for a playoff spot, and one against Ottawa. The Islanders play the Columbus Blue Jackets, two games before they face the Flyers in April. Let’s say a questionable hit arises, and it’s a matter of whether a player should be suspended one game or more. Do you really want Chris Pronger’s input as to whether or not a player on your team will be suspended for a game that could impact the outcome of another game against the team in which Pronger is currently collecting checks from? I understand the desire to have a former player in the Department of Safety. The NHL wants someone who has played the game and has first-hand experience of the hits that occur. However, Pronger wasn’t exactly the cleanest of players. He racked up 1,590 penalty minutes and was suspended eight times during his 18-year NHL career. Is he going to be more lenient on enforcers because he himself was one, or will he crack down on enforcers because that’s his job? I’d like to think he is mature enough to do his job in the most ethical way possible, but this entire hiring process by itself is unethical. According to Hockey Night in Canada’s Elliotte Friedman, the Pronger hiring isn’t even legal under the rules of the CBA. Pronger: issue is in Article 26 of CBA. No one being paid by a team can be paid by the league. A Club (directly or indirectly through a “Club Actor,” i.e., any owner, shareholder, Club Affiliated Entity, the NHL or third party acting at the behest of a Club) and a Player (directly or indirectly through a “Player Actor,” i.e., his Certified Agent or any other individual, any entity, or the NHLPA, acting on behalf of the Player) may not, at any time, enter into undisclosed agreements of any kind, express or implied, oral or written, or promises, undertakings, representations, commitments, inducements, assurances of intent, or understandings of any kind involving consideration of any kind to be paid, furnished or made available or guaranteed to the Player, or Player Actor, by the Club or Club Actor either prior to, during, or after the term of the Player’s SPC. Pronger wouldn’t have the final vote as to whether or not a suspension happens — that is still Stephane Quintal’s job. 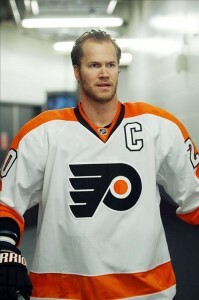 However, Pronger would have input on a player who will be playing against the Flyers at some point this season. To me, this seems like a no-brainer as far as there are too many red flags. Why Pronger? Is he really the best available hire at this particular moment? I have a hard time believing they aren’t a number of former players who couldn’t do the job just as good, if not better than Pronger. Is it all for the big name? Does the NHL want to make headlines because a former bad boy is helping with input on whether or not a player should be suspended? From a marketing standpoint, sure that’s fine. But from a legal and ethical standpoint, the NHL needs to dump and change on this decision.